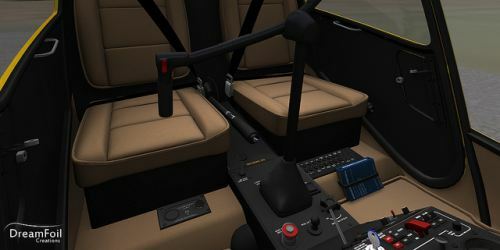 Dreamfoil Creations has posted new virtual cockpit preview pictures from the Robinson R22 for X-Plane. The first pictures are available from the upcoming UK2000 London City Airport (EGLC) for FSX and FS2004. FSDreamTeam has posted another preview screenshot from Los Angeles Intl. Airport (KLAX) for FSX and FS2004. Project Airbus has released the long-awaited Airbus A380 package with virtual cockpit for FS2004. Download at AVSIM. A_A Sceneries has posted new development screenshots from Samui Intl. 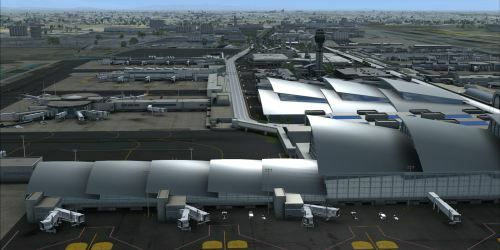 Aiport (VTSM) for FSX. 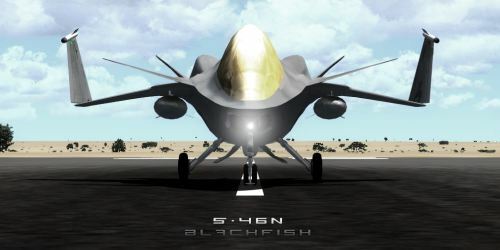 Xpand has released the freeware S-46N Blackfish for FSX. Download at Simviation. View Promo Video. Angelo Tassoglou has released his freeware Agrinio-Itea photo scenery for FSX. Download at AVSIM. The freeware aircraft carriers Foch (R99) and Clemenceau (R 98) V3 for FSX are available to download here. 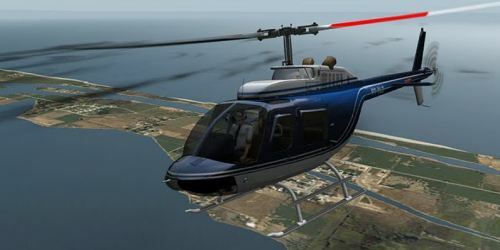 The DreamFoil Creations Bell 206 Jet Ranger III for X-Plane is now also available at SimMarket. Project Airbus has posted one screenshot of the virtual cockpit lighting from the upcoming Airbus A380 for FS2004. McPhat Studios has posted two new preview renders from the upcoming ATR 72-500 for X-Plane. CaptainSim is offering 30€ off the Boeing 707-300 Base Pack for FSX. Aerosoft has posted another teaser screenshot from the upcoming Corfu X (LGKR) for FSX. Aerosoft is holding a Whirlybirds Weekend Sale with 20% off Huey X, Seahawk & Jayhawk, Manhattan X and Monaco X.
Freeware Ant's Aussie Hamilton Aerodrome (YHML) V1.01 for FSX is now available at AVSIM and OZx. Thomas Ruth has released patch version 1.01 to his freeware Duesseldorf Intl. Airport (EDDL) for FSX. Ddenn Design has released a cumulative patch to the Bombardier BD-100 Challenger 300 for X-Plane. Godzone Virtual Flight has posted a preview video from the upcoming Real New Zealand Nelson Airport (NZNS) for FSX. Taxi2Gate has released Košice International Airport (LZKZ) for FS2004. Purchase at SimMarket. Pacific Islands Simulation has posted more preview images from the upcoming version 1.1 of Tonga for FSX. Angle of Attack has commenced the Boeing 737NG training program. More information here. McPhat Studios has released World Airliners 1 High Definition Textures (HDT) for the PMDG Boeing 747-400. Enigma Simulations has posted Western Airlines livery previews from the upcoming Boeing 737-300 for FSX. The Accu-Sim Revolution by Jaggyroad Films can be viewed at YouTube. The freeware Lockheed L-149 Constellation for FSX and FS2004 is now available to download at Flightsim.com. McPhat Studios posted a promotional video for the Level-D Boeing 767 World Airliners 3 High Definition Textures (HDT). FlyTampa has updated Athens International Airport (LGAV) for FSX and FS2004 to version 1.1. Improved compatibility with FS Passengers & similar. Taxiway lines on K now have Blue & Orange lines parallel to center. More beta previews have been posted from the upcoming freeware Orbx Bowerman Airport (KHQM) for FSX. Earth Simulations has released The Channel Isles - Guernsey Photo Scenery for FSX. Commercial Level Simulations has released the Douglas DC10 Expansion Livery Package for FSX and FS2004. Commercial Level Simulations is holding a Boeing 767 Summer Sale with 35% off all B767 products. Carenado has added new preview renders from the upcoming King Air C90 for FSX. 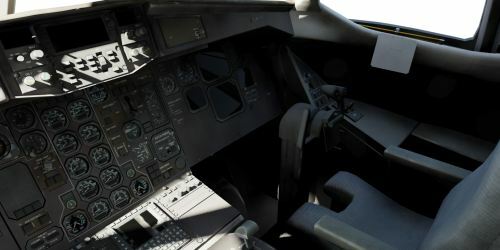 Aerosoft has posted two more virtual cockpit screenshots from the Digital Aviation Bombardier CRJ700 for FSX. More preview pictures have been posted from the upcoming Aerosoft Stavanger X (ENZV) for FSX. 2. FILL IN our Contact Form with 'GUESS & WIN' as SUBJECT. The content must ONLY state G&W2 and your proposal (only one proposal per e-mail). Real Environment Simulations has revealed details of SimAir and announced the contest winners. FS-Studio.fr has posted this video of the PMDG Boeing 737NGX for FSX. Orbx has posted the first preview screenshots from the upcoming freeware Bowerman Airport (KHQM) for FSX. Orbx has updated the FTX Australia Traffic Pack for FSX to version 3.20. New preview pictures have been posted from the upcoming freeware Ibiza Airport (LEIB) for FSX. 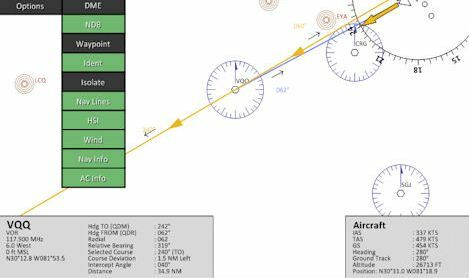 Coolsky has announced development of the Navigation Simulator training tool for the upcoming Douglas DC-9.